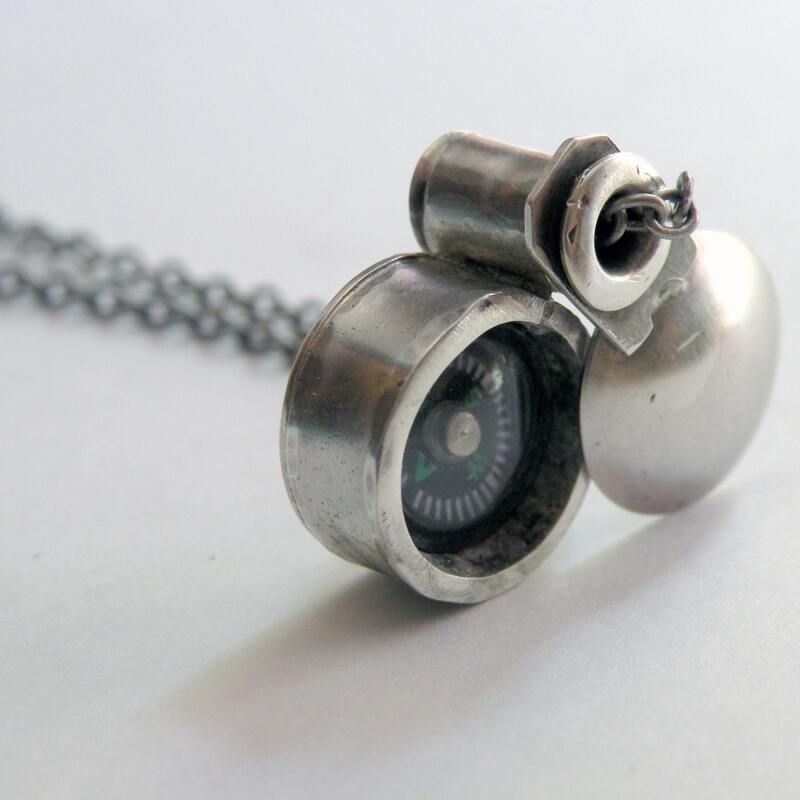 I carefully hand cut, form, and solder solid sterling silver .925 to create a case around a tiny working compass. 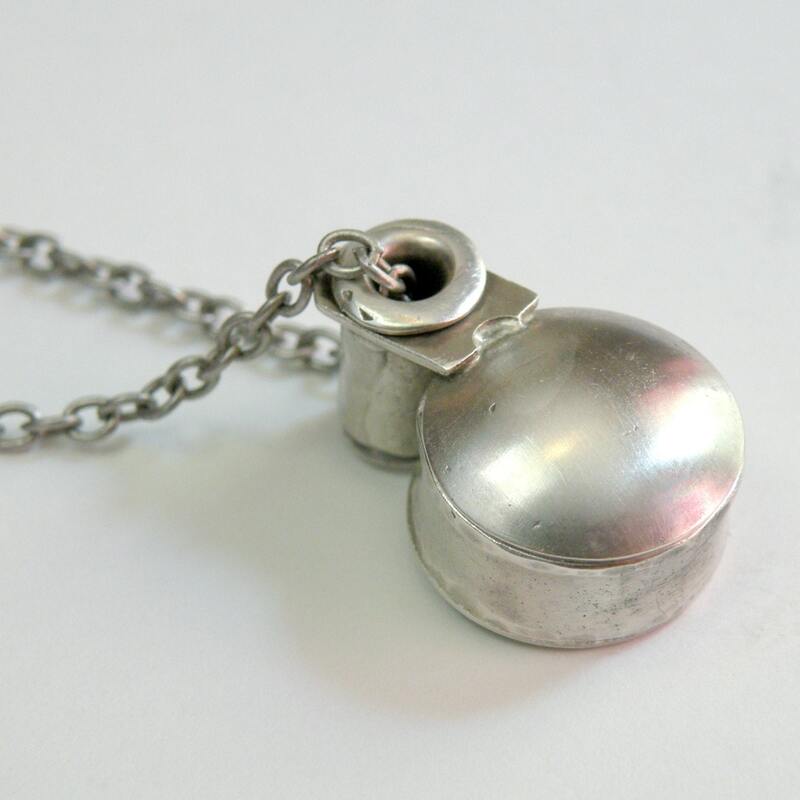 A small silver lid swivels open to reveal the compass within. 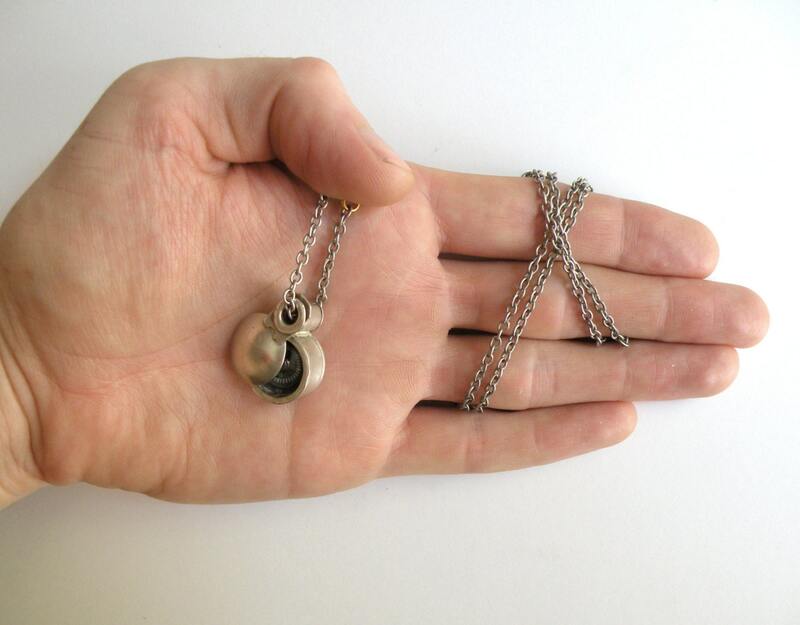 The pendant is approximately .5" in diameter and hangs on a 26" silver plated chain with one 14k gold plated link. 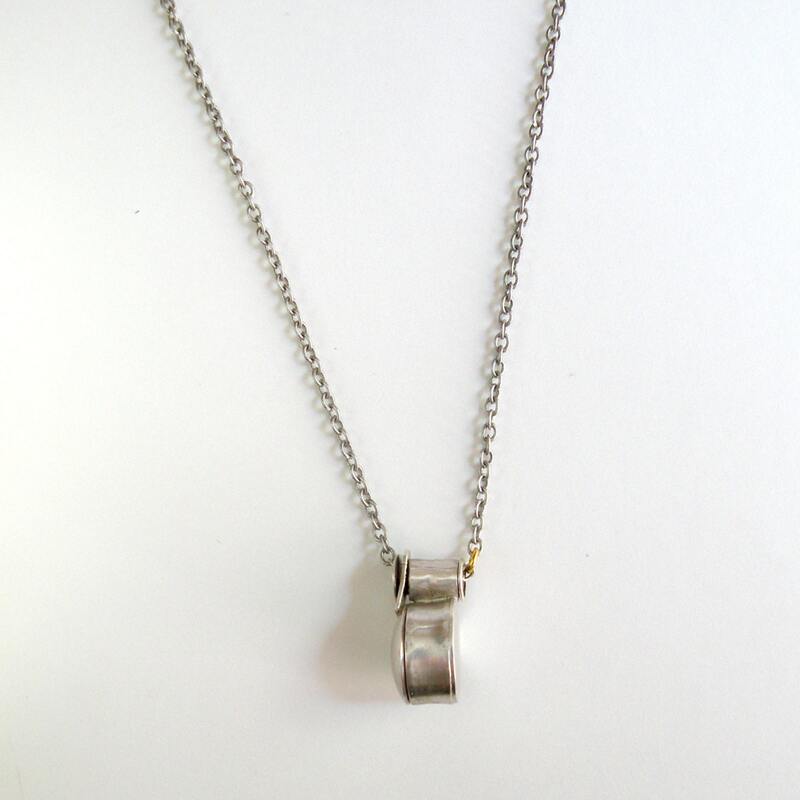 Solid sterling silver chain is available as well. The compass does indeed work! Though I wouldn't suggest using it for serious navigation. Each piece is crafted one at a time by hand. They are wearable works of art. 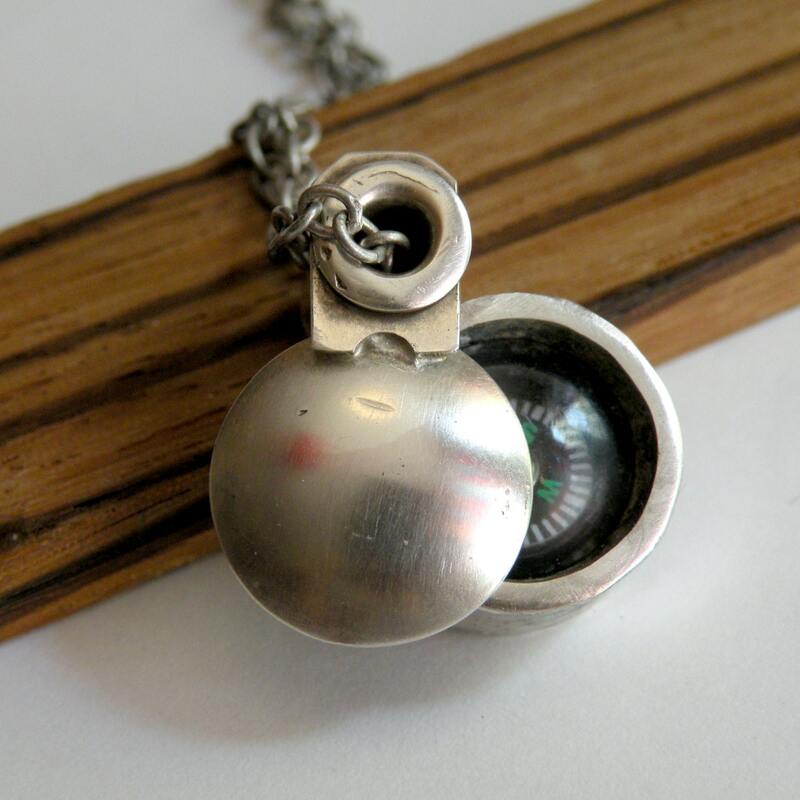 For an additional $10 I can add a custom fitting so the compass will hang facing outwards. Custom inscriptions are available as well, 3-4 Characters maximum. Every necklace is made to order to the above specifications. Please allow up to 2 weeks for your item to leave my shop, although I have most orders out the door in 1 week or less. Let me know if you need it quick!